Dress like a Princess for a few pounds! With the birth of Prince Louis and now the Royal Wedding, Royal fever is official! But if you on a budget how can you capture the Royal style on a budget? Loopster, www.loopster.co.uk, an online platform that buys and sells quality preloved kids clothes, offers parents a way to dress their little ones in Royal favourites for less. John Lewis, many peoples mainstay, are a favourite for the Royal kids too. Loopster has a large collection of John Lewis clothes, retailing a quarter to a third of the original price. Mais oui! It's not just British brands the mini Royals have been spotted in. Prince George has been pictured wearing Petit Bateau and we can imagine Princess Charlotte wearing Petit Bateau's chic numbers too. 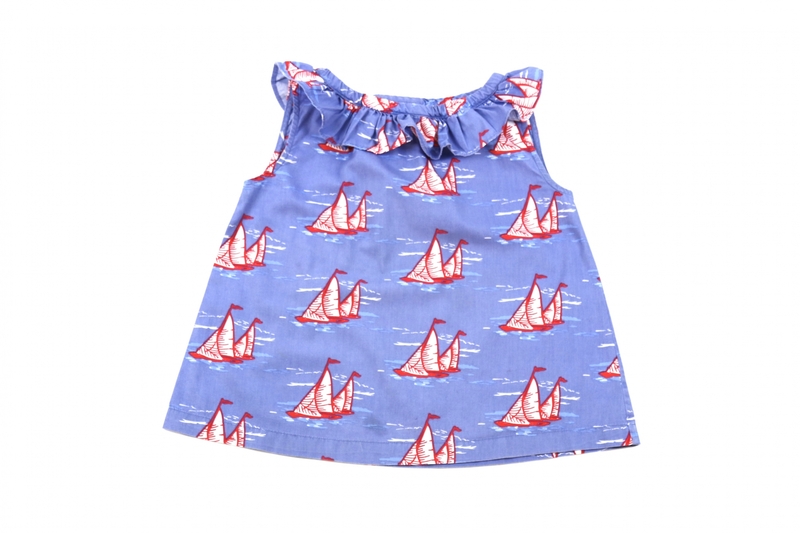 Loopster has many Petit Bateau clothes at discount prices. And a regular Royal brand for both Prince George and Princess Charlotte is designer Rachel Riley. With her tradional designs and vintage patterns she captures the Royal spirit perfectly. This Riley ruffled top is a snip on Loopster at £11 (pictured below). Loopster stocks everything from Gap to Stella McCartney, selling at a third or less of the high street price. With a focus on designer brands, this curated collection offers the same buying experience as a normal retailers website. With clear photographs of the clothes on its easy-to-use website, searching for stylish bargains on Loopster is not only easy but fun. Buying nearly new clothing and giving your child’s clothes a second life. helping save the planet whilst saving you money. Last year nearly a quarter of all our clothes went into landfill. Loopster, saving parents money whilst saving the planet! © Copyright 2019. Loopster Ltd.